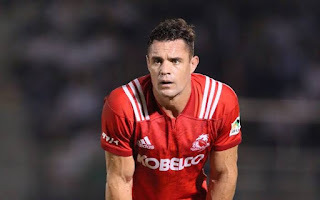 The 37-year-old Dan Carter who known to be All Blacks legend has successfully come through the neck operation that curtailed his hopes of recently rejoining French club Racing 92. 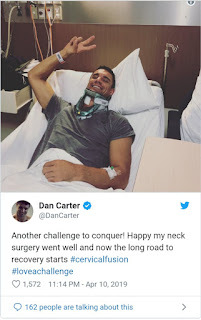 The former All Black flyhalf posted a picture of himself on Twitter after going under the surgeon's knife, said the Stuff website. Carter said the operation went well and he's focused on getting his body right again. However, Carter wasn't able to go through with the medical test due to an operation to repair damage to his neck.